7 YRS Shenzhen Sinva Package & Manufactory Co., Ltd.
We will double check the items before shipping to insure the quality, and promise to ship the items within 3 working days (holidays excepted). If the buyer is not satisfied with the items, they be returned (must be with original package and not missing any components) within 3 days you receiving them. We will replace the items within 3 working days (holidays except) once receiving the defective items. 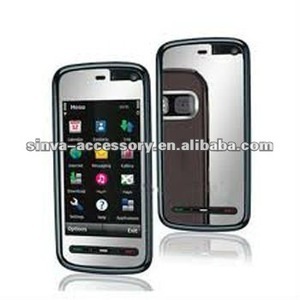 Alibaba.com offers 2 screen guard nokia 5800 products. About 100% of these are screen protector. There are 2 screen guard nokia 5800 suppliers, mainly located in Asia. The top supplying country is China (Mainland), which supply 100% of screen guard nokia 5800 respectively. 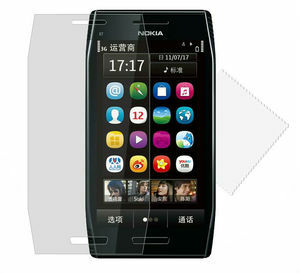 Screen guard nokia 5800 products are most popular in Eastern Europe, Western Europe, and North America.